Are you another free spirit about to tie the knot? Can you picture getting married in the midst of a sprawling forest ? Can you picture yourself in something light, flowy and definitely not red? A cool boho wedding is non-traditional, a bit adventurous, and gives you a memorable wedding without the stress of a high-maintenance ordeal. 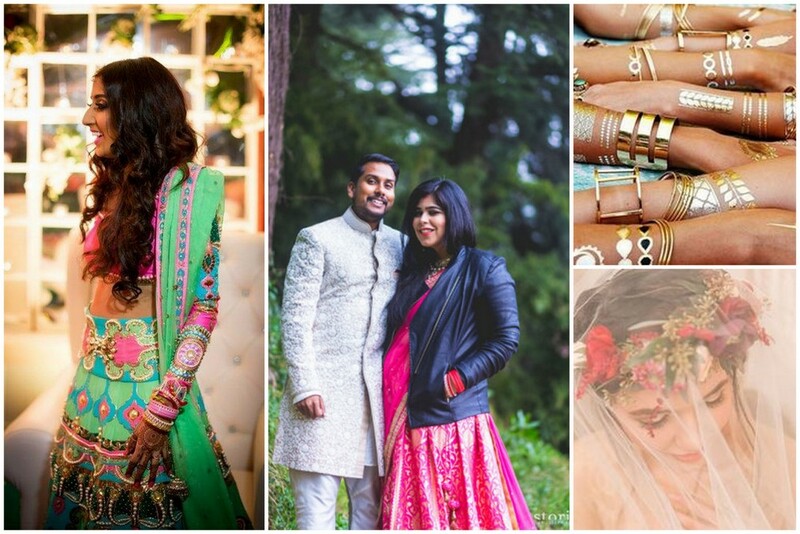 Here’s your ultimate guide to an Indian boho wedding – pointers that will actually help you make the best of your free-spirited ideas. 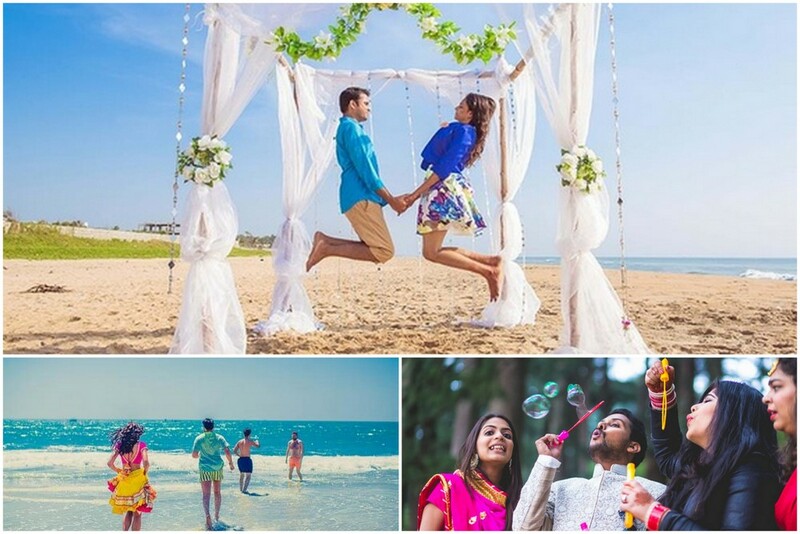 Use all or some – just make your wedding unconventional and effortless! You want your wedding to be off-beat so you should look within and find invite ideas that resonate with you and your loved one. 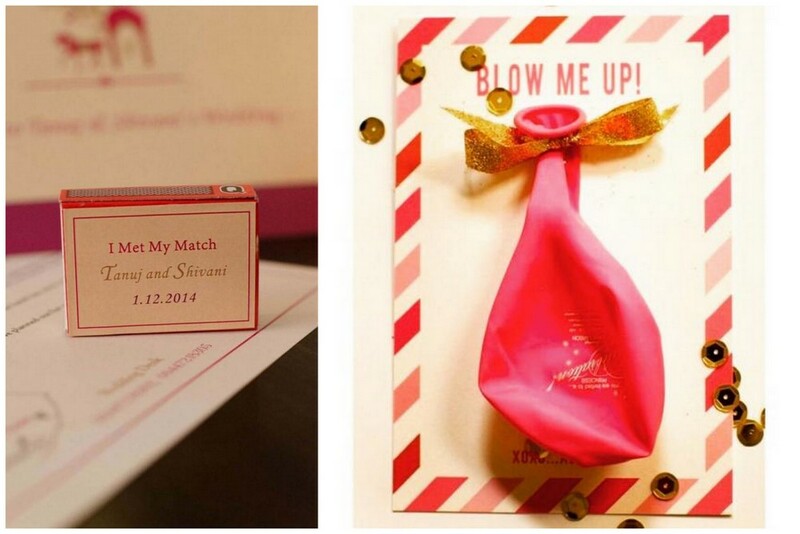 There are so many cool ideas that showcase a couple’s cool quotient – matchsticks on cards saying “We are a Match” or blow up the balloon to see the Save-the-date. Look for unconventional ways to keep it fresh – a video invite for your Save-the-date or a an Instagram announcement. 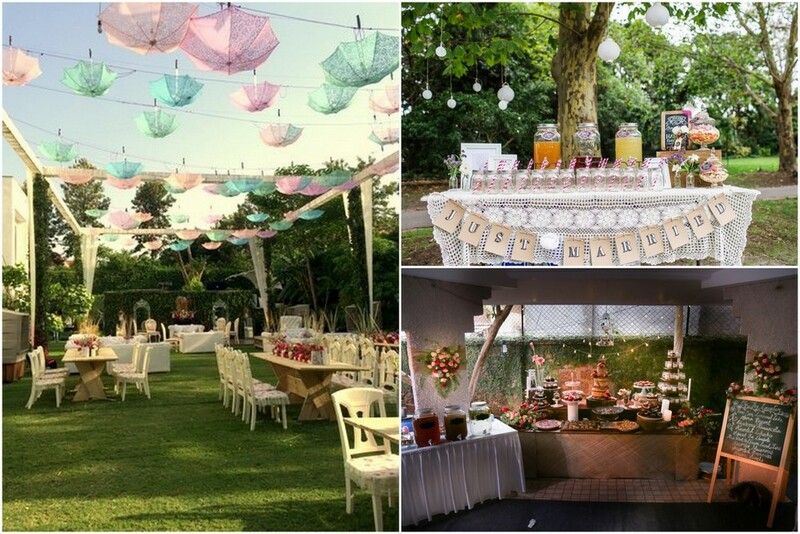 Also, boho weddings are more of a private event so if you are looking at minimal audience yet maximum impact. Find those 200-300 people that you absolutely must have at your wedding and make it worth their while. Look for non-traditional venues surrounded by nature – beaches or the mountains, you choose. The idea is to look at innovative places – maybe, the North East, or Pondicherry, Hampi – the more off-beat, the better. Rustic ranches, farms, private estates, backyard settings, warehouses, lofts and vineyards are all great spots to scope out. Embrace the outdoors; ceremonies on the beach or in a park can be followed by the reception in a rustic barn or marquee. Brunch weddings are the new trend, especially as they are usually cheaper. With omelette and cereal stations, chaat bars, mimosa bars and beer cocktails being served. We love the idea of getting married outdoors on a winter morning, having brunch with close friends and family – the ideal wedding for smaller and more intimate weddings. For the bride, the perfect bohemian wedding attire is all about unconventional colours and minimal embroideries, heck even an off-beat designer or label, something easy to move around in, and most of all, something comfortable. I saw a bride once wear her mom’s sari made into a slick lehenga and someone who wore a pattu pavadai with a nice dupatta – it’s about recycling the old and creating the new. Look for designers for Manish Arora or Papa Don’t Preach for some really quirky ideas and outfits. This year, we also saw some neat brands like Mogra that create indie lehengas for brides who are looking for something different. 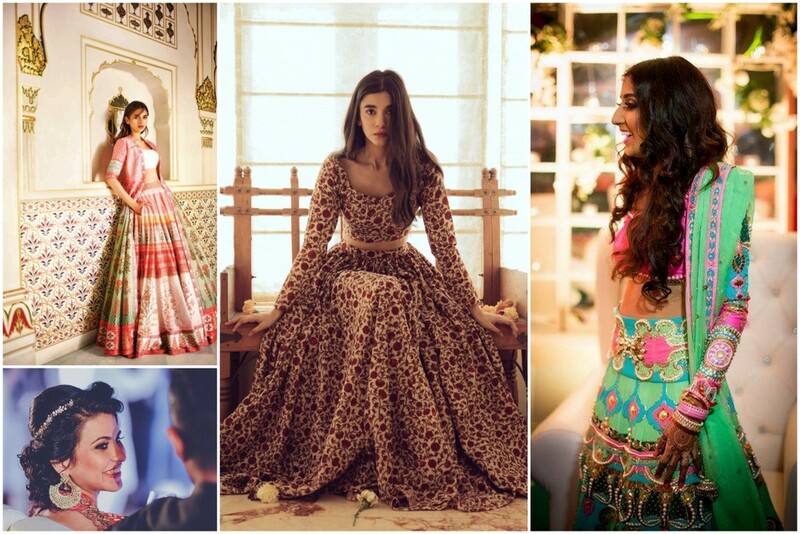 And the queen of lehengas, Anita Dongre’s SS16 Collection this time is about vibrant, off-beat prints. Top it off with a flower crown and you have it. Wear jackets on lehengas and opt for sneakers instead of heels. For the groom, wedding attire is right between comfort, casual, and a bit of nomadic style. Add a flower instead of a brooch or Lennon sunnies into the mix and he is set! For the bride-to-be, try and keep the look natural and uncomplicated. Think loose curls or a fishtail braid topped with a flower crown, barely there makeup, and your dream outfit. Keep the jewellery simple as well, the words big and blingy are not in the boho bride’s vocabulary! Wear your jewellery differently too – maybe a necklace as a maatha patti or a rani haar as a back accessory. Shoes are definitely optional, embellished flip-flops look more like it. Who wants to be on the sand or grass in their heels? Feel the earth beneath your feet! Try new ideas like feather hair bands or metallic temporary tattoos instead of real mehendi. Floral crowns work the best or even a side clip with a bunch of flowers. For centrepieces, a collection of bottles in different shapes and sizes filled with grasses, fern leaves and garden roses, including the rose buds, would work well. Baby breaths are coming back with a bang, look at poppies, bougainvillea or hydrangeas and try using them differently. Maybe a flower canopy or a bunch of hanging flowers. Or opt for fruits instead of flowers. Unlike traditional weddings, you can do cake! 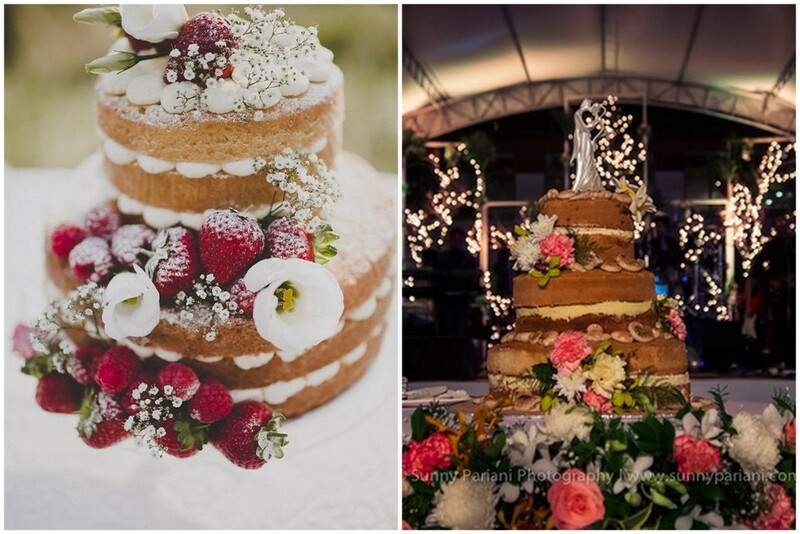 Our favourite bohemian wedding cakes are the “naked” cakes. These delicious treats are frosting-free and layered with vibrant berries and flowers to give them a beautiful aesthetic look. Sangria cocktail stations? Rustic, wooden craft beer bars? Flavoured lemonades served in mason jars? Yes! 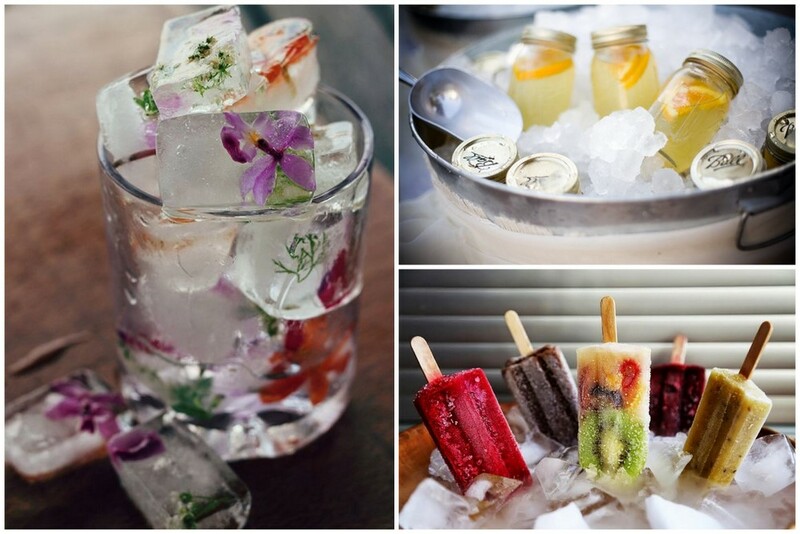 Get creative with your drinks and serve your beverages in style! Adorn your drinks station with decorations that are unique to your wedding style. The possibilities are literally endless.There can’t be a hipster wedding without a chalkboard signage. Deck out a wooden chalkboard with wildflowers and greens, and then put your personal message on it. This easy DIY takes no time at all! What you want to achieve is an eclectic, wandering nomad sort of look. The place settings at the reception can be all mismatched and in various colours. Have fairy lights and coloured fabric hanging from the ceiling (or the tree—depends on where the wedding takes place). 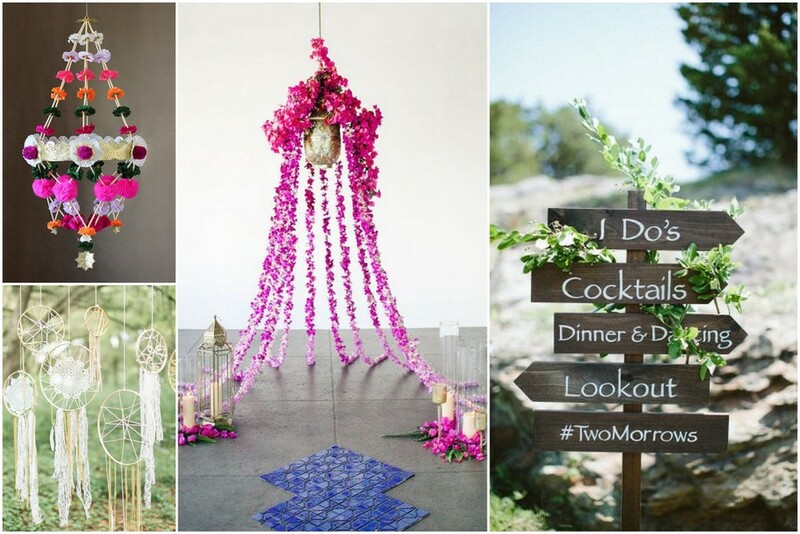 Dream catchers, tassels, lace and wild flowers can be your go-to mantra for bohemian weddings. Twinkling fairy lights, lanterns and candles will also add a special flair to your boho wedding. Feather detailing is another beautiful boho touch. Add feathers to floral arrangements, hang them from garlands or adorn place cards…there are so many options! Look for a cool pajaki: A pajaki is a Polish chandelier made from straws and paper. 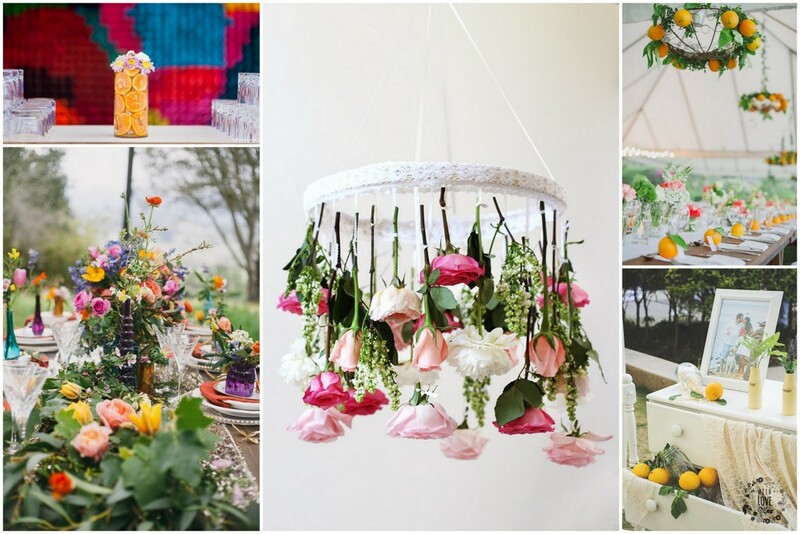 This colourful hanging DIY is a miniature version of the real thing and would be a great addition to your bohemian wedding!